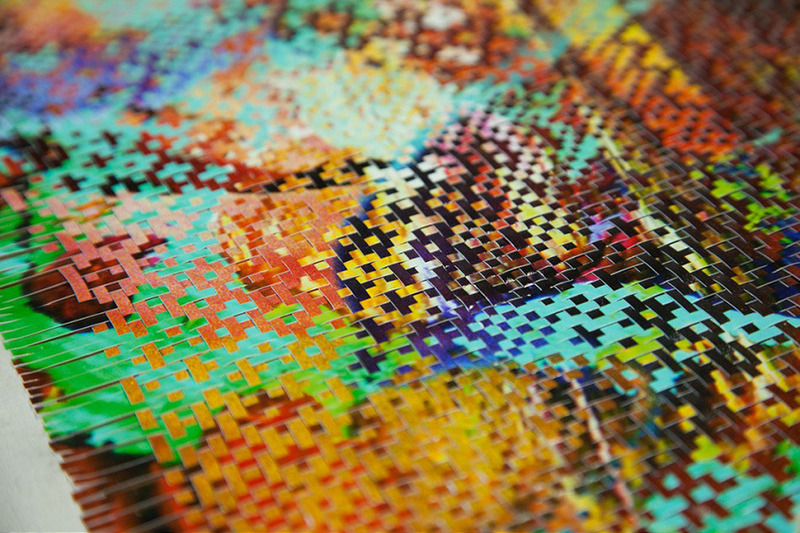 New York-based artist Lala Abaddon creates her pieces by slicing up digital prints and hand-weaving the pieces together in a way that looks, from a distance, as if they had been digitally manipulated. Her work explores her interest in the process of deconstruction and reconstruction, taking images from her archive and weaving them together with something new. The woven aspect of her work also adds another texture to the flat photo prints. Adabbon’s upcoming solo show at Castor Gallery in NYC will take place in March 2015.